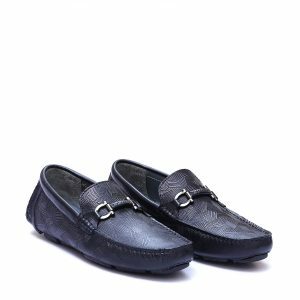 This Dark Brown Bit Loafer is made from pebble grain Leather inspired by Classic Italian Shoemakers, which is more attractive, topped with smooth finish Gancio bit, adding more beauty to this masterpiece. 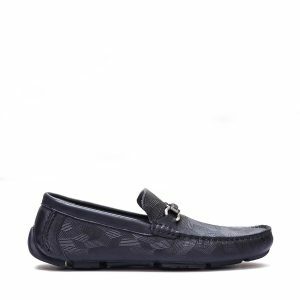 Black Pinfu is Geo- Printed Cow Skin Driver which is made to inspire all, It gives extra luxurious feel thanks to its driving sole. Inner of the shoes is made of premium goat skin resulting great feel.